Corner Vet is owned and operated by Dr. Nicole West. Dr. West is a 2003 graduate from the Louisiana State University School of Veterinary Medicine where she graduated with honors. She began her veterinary career in south Louisiana practicing at Magazine Street Animal Clinic, Prairieville Animal Hospital and Sherwood South Animal Hospital. It was at Sherwood South Animal Hospital under the guidance of Drs. Alfred Stevens and Stephen Lee that she found her love of dentistry. In 2011, Dr. West and her husband, Brian, made the decision to move home to North Louisiana to raise their daughters surrounded by family. Dr. West has three beautiful daughters: Ava (7), Evie (6) and Estelle (2), along with three spoiled pets: Anna Louise (Cavalier), Lottie (Frenchie rescue) and Macho (Orange tabby cat). In her spare time Dr. Nicole enjoys tennis, triathlons, running and spending time with family and friends. She is an active member of First United Methodist Church of Monroe and a sustainer member in the Junior League of Monroe. 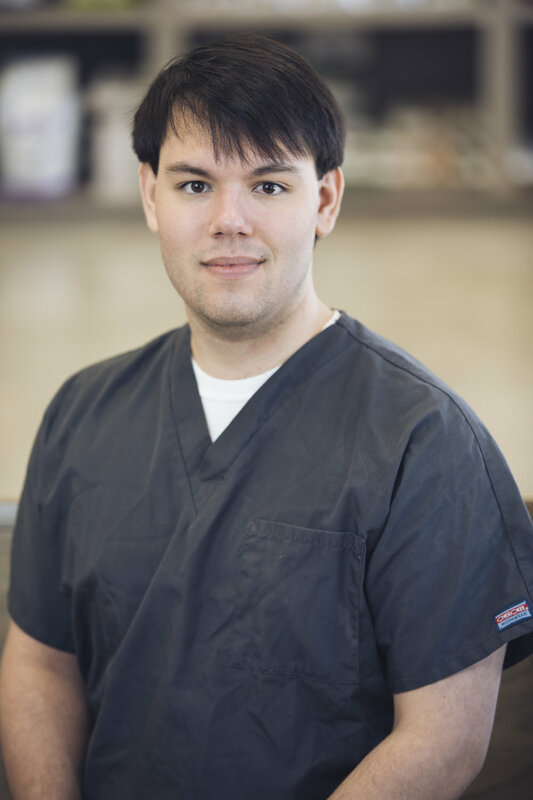 Dr. West has been a repeat finalist for the prestigious "Best Vet in the Delta" award. Reagan has been a long term resident of Ouachita Parish. She studied Art at the University of Louisiana at Monroe where she focused on Photography upon graduating high school. Although much of her photography featured landscapes, she loved capturing the lives of her furry companions. With encouragement from family and a passion for animals, she began working in the veterinary medical field and hasn’t looked back. Reagan and her husband, Jon, began their engagement with one adorable dog and rescued another just days before their marriage began. Since that day, Reagan and Jon have added four additional rescues as members of their family. Her world may be consumed with animal care and cuddles, but Reagan also enjoys her hobbies of video games, outdoor activities and hiking, and reading science fiction novels. Christina serves her Corner Vet family as Client Services Coordinator and Head Technician. She is currently working to receive her registered Veterinary Technician degree. She lives in West Monroe with her husband, Micah, and their four trouble-making furry “kids.” She enjoys watching movies and spending time with her family and friends. Christina has been in and out of the veterinary field for years, and when she left she states that “her heart never truly did.” Her goals for the future include advancing her education in veterinary dentistry, starting a family with her husband, and continuing to make a lasting impact with the job she loves. And the job she was born to do. Sarah was born and raised in Monroe, Louisiana. She is a graduate of Sterlington High School and now attends the University of Louisiana Monroe (ULM). Sarah is a junior majoring in Business. She is a member of the leadership team of the ULM Wesley Foundation. She is also a youth director at Foundry Church in Sterlington. Before attending ULM she spent a year and a half at Louisiana Tech University. While there she was treasurer of the equestrian club and active member of the Pre-Vet club. She has worked with Dr. West for 3 years. Sarah proudly owns a chocolate lab mix named Coco and a family golden retriever named Beaux. Sarah has had a passion for animals her whole life and looks forward to having a house of her own so she can rescue all the animals she can!